Aston Martin and Triton Submarines have finished designing Project Neptune, a limited edition submersible that will wear the British automaker’s iconic wings. 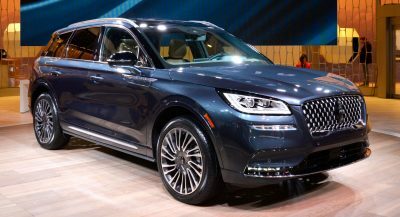 The two companies have finished designing the hydrodynamics, body styling as well as the luxurious interior packaging. The final product will have excellent safety features and near 360º visibility, plus a strong focus on reliability. 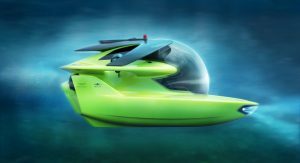 Once underwater, the submersible will be able to dive to depths of 500 meters (1,640 feet / 0.09 nautical leagues) while carrying two passengers and a pilot. Furthermore, thanks to the reduced frontal area and increased power, Project Neptune will boast an anticipated sprint speed of more than 5 knots (5.7 mph / 9.2 km/h), making it four times faster than Triton’s flagship model, the 3300/3. “The exterior design of Project Neptune owes a lot to the pursuit of performance. As with the Aston Martin Valkyrie, the hyper-car we are developing with Red Bull Advanced Technologies, we have afforded as much attention to the hydrodynamics of the underside as we have the visible surfaces. Some of that detail may never be seen, but its effect will certainly be felt,” stated Aston Martin EVP, Marek Reichman. 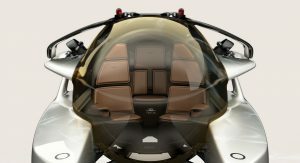 He also mentions how the submersible’s interior represented “a great challenge”. 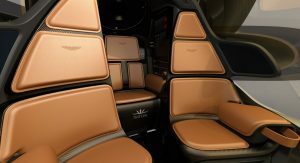 Meanwhile, John Ramsay, chief technical officer at Triton, added that Project Neptune’s interior is “quintessentially Aston Martin”, featuring a mix of hand-stitching leather and high-performance carbon fiber. Aston Martin’s in-house design team created three Designer Specs for the submersible, while Q by Aston Martin will offer bespoke customization and personalization options. Prospective buyers can learn more about Project Neptune at this week’s LYBRA Superyacht Show in Barcelona, Spain. If you actually want to secure a build-slot though, make sure to contact your preferred Aston Martin dealer or a Triton Submarines representative. Since when the world turn into real life GTA. 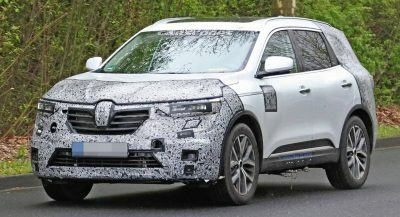 Will it beat a Dodge Demon? 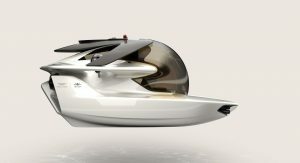 If George Jetson lived under water. Looks like the seamoth from subnautica. Awesome. Whats not to love?